Medicine and Science in the 1860s. 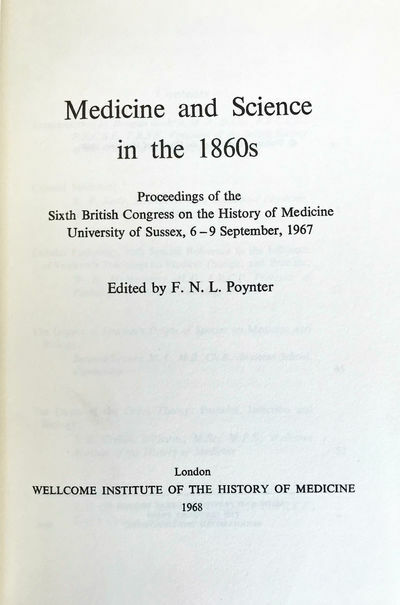 Proceedings of the sixth British Congress on the History of Medicine, University of Sussex, 6-9 September, 1967.
by POYNTER, Frederick Noël Lawrence (1908-1979) (ed. ); Wellcome Institute for the History of Medicine.